Look What’s Cookin’ at the SOAR Farmers Market! Throughout the SOAR Farmers Market season, we showcase chef demonstrations from notable Streeterville restaurants. 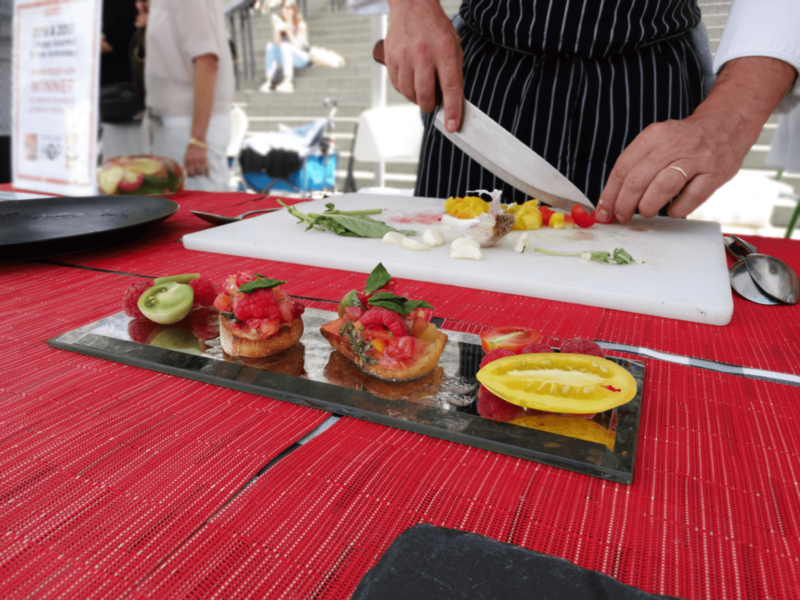 At each demonstration, chefs set up their kitchen inside the SOAR Information Booth and demonstrate how they make one of their special dishes. Once the dish is ready, samples are given out for all to enjoy! 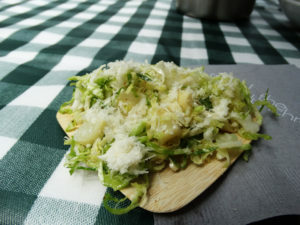 After each demonstration we post the recipes of what was made at the demonstration for you to try at home. Remember to buy your fresh ingredients at the SOAR Farmers Market! 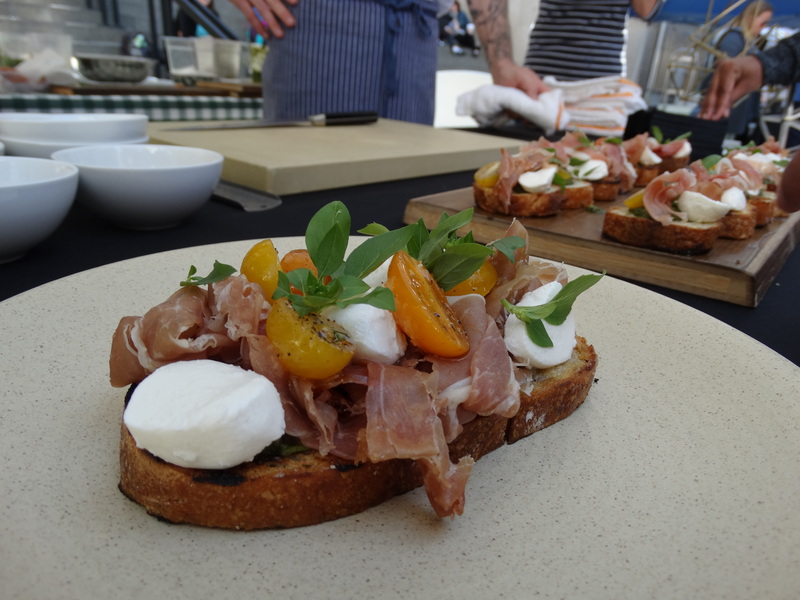 Chef Larry Feldmeier and his team from The Albert at Hotel EMC2 set up their kitchen at our market and created a fresh, savory Proscuitto Tarine! 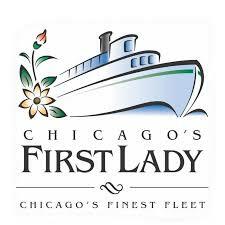 We thank them for stopping by! 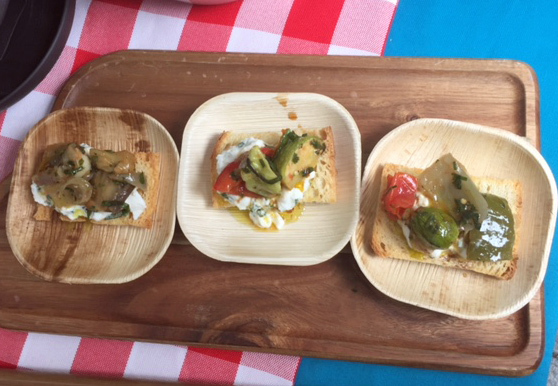 Market shoppers enjoyed getting a taste of this dish that incorporated tomatoes from Lane’s End Farm! 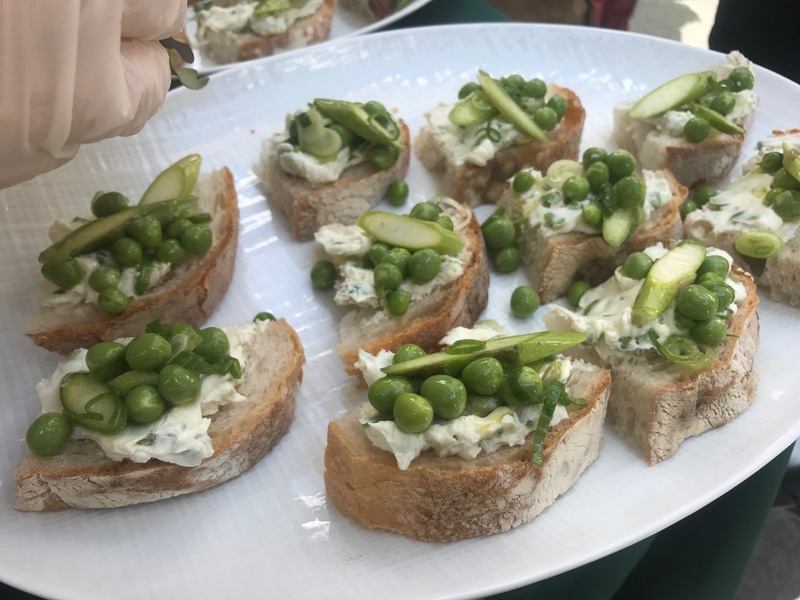 Thanks to Chef Martial Noguier from Bistronomic for returning for another Chef Demo during the 2018 season! 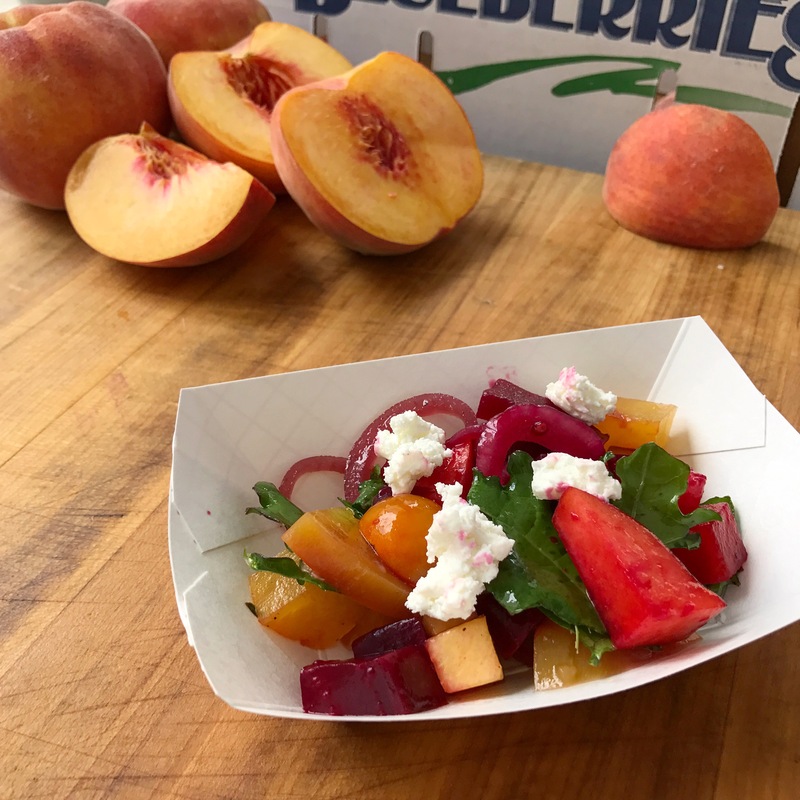 This year, Chef Noguier prepared a colorful, fresh heirloom tomato tartine using raspberries from Nichols Farm and Orchard and tomatoes from Lane’s End Farm! 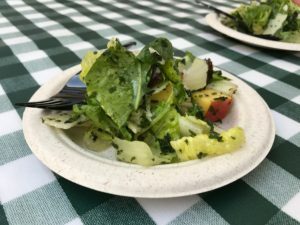 Thanks to Chef Doug Wroble from The Lunchroom at SPACE 519 for putting together a delicious Green and White Salad for 250+ Farmers Market visitors! 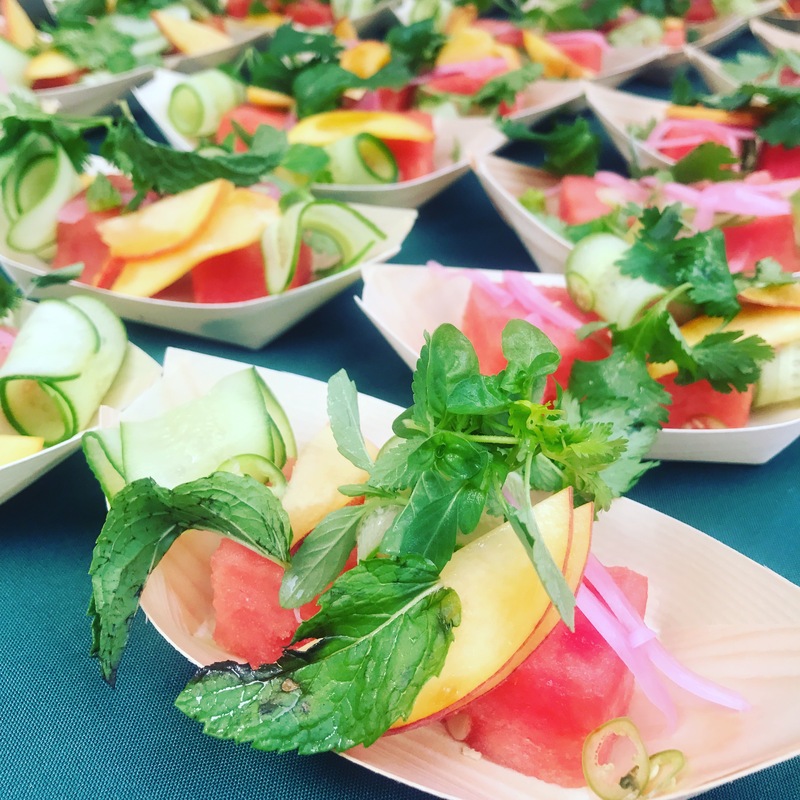 The SOAR Farmers Market welcomed Chef Eric Damidot from NoMI at the Park Hyatt. 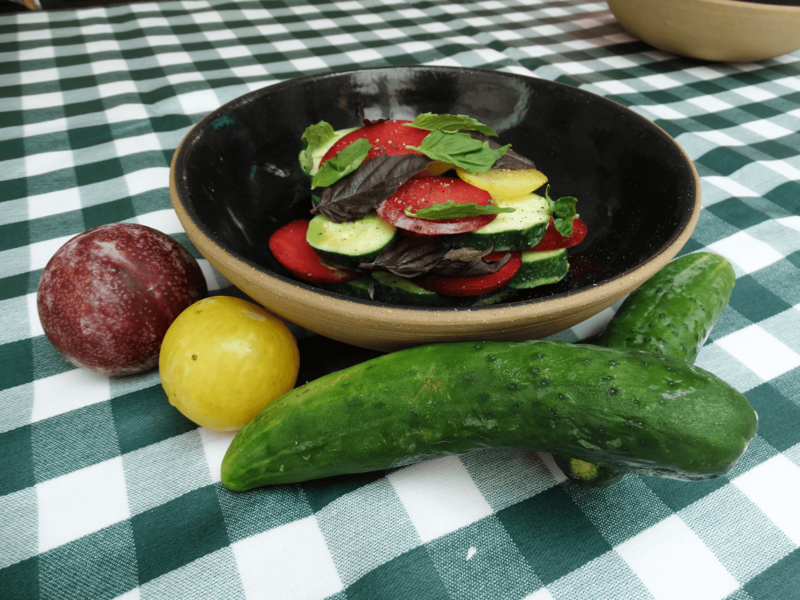 He created a unique and fresh Summer Ratatouille right here at the market! 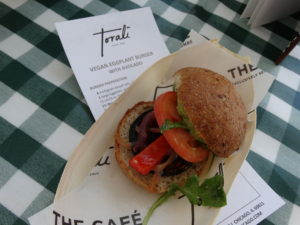 Chef Baasim Zafar and his team put together a delicious vegan dish – Eggplant Burger with Avocado! 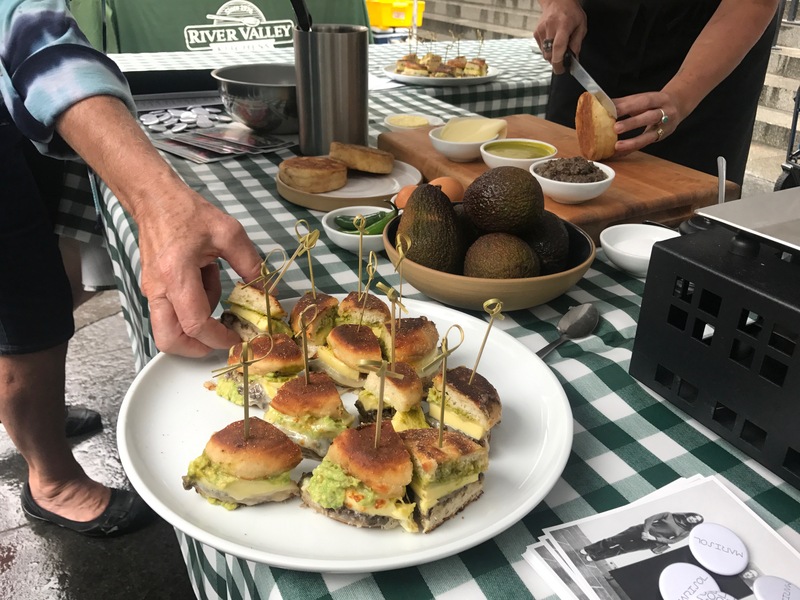 Thanks to Chef Zafar and Torali at the Ritz Carlton for coming to our market for the demo! Click here to see the recipe! 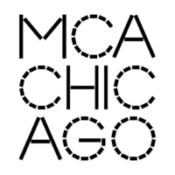 Thanks to Chef Sarah Rinkavage from Marisol at the MCA for creating an dish full of interesting flavor combinations at our market! Watermelon and Heirloom Tomato Salad – Click here to get the recipe! Roasted Beet Salad- Click here to get the recipe! Beatrix Crispy Kale Salad- Click here to get the recipe! 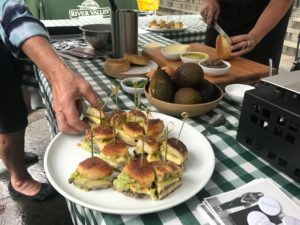 Marisol Egg, Lentil, & Avocado Breakfast Sandwich- Click here to get the recipe!